Looking for some instant, drug-free pain relief, some help with muscle recovery, or a way to enhance your muscle strengthening routine? There’s good news for you—electrotherapy can help with all of these things. It’s safe, it’s versatile, and it's effective. Part of its versatility comes from two different types of electrotherapy treatment: EMS and TENS. If this easy and safe treatment sounds appealing to you, you’ll be wondering about the differences of EMS vs TENS. Are they interchangeable? How are the treatments different? When should a person use one over the other? 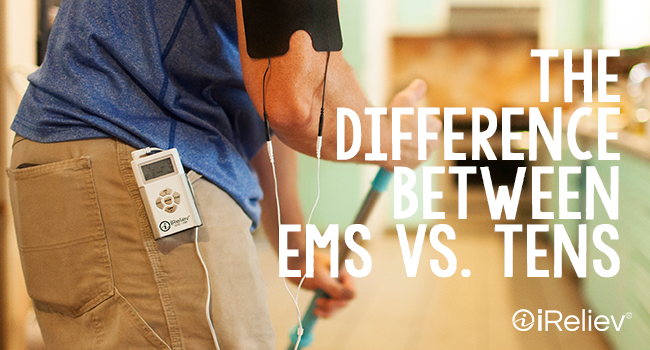 On a basic level, EMS and TENS therapies are very similar. Both use gentle electrical impulses as a stimulant that’s sent through the skin. The names of these two types of electrotherapy indicate their areas of focus. When you look at TENS—which stands for transcutaneous electrical nerve stimulation—it’s clear that it stimulates the sensory nerve endings. 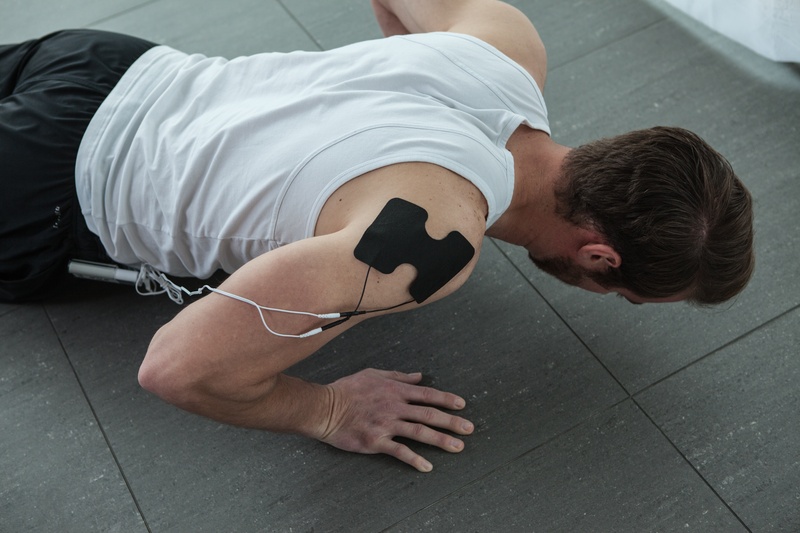 EMS however—which stands for electrical muscle stimulation—stimulates the muscles. The use of EMS vs TENS varies, though both are effective forms of relief. TENS is used as a natural pain reliever and is optimum at treating things like chronic or acute pain from prior injury, carpal tunnel, and so forth. EMS is used for muscle growth and recovery, making it ideal for athletic injuries, or things like muscle spasms and paralysis. EMS is even quite effective as a proactive tool for muscle strengthening. When a TENS unit sends electrical impulses through the skin, it stimulates the nerve endings. This creates a pleasant sensation, described by many as a massage-like tingling. When this stimulation is directed towards an area suffering from chronic or acute pain, it provides immediate relief. The pain is replaced by the tingling sensation, thanks to something explained by the gate control theory of pain. This theory suggests that when the nerves receive non-painful inputs, these replace painful inputs. Thus, the agreeable TENS treatment takes over for the pain, equating to natural pain relief. TENS treatment is also capable of stimulating the release of endorphins, the body’s natural pain-relief chemical. Read more about the top 5 reasons why you should have a TENS unit in your medicine cabinet. EMS, on the other hand, works as a passive exercise technique. Its gentle muscle stimulation is similarly comfortable and can often bring its own relief from pain. However, in addition to such benefits, EMS also causes the contraction and relaxation of the muscles it stimulates. The repetition of this cycle brings about benefits like increased blood flow, which causes recovery and growth, as well as the prevention of inflammation. Because EMS stimulates muscles that are otherwise still, it’s also a great way to help prevent atrophy in injured patients, or to keep the muscles warmed up during travel. Read more about the 5 reasons why you should use EMS in conjunction with strength training. Both of these treatments are given noninvasively, meaning they’re safe and non-addictive. Many people find it effective to use both TENS and EMS on an injured or sore area. Conveniently, iReliev offers a portable unit that has both options in one device. 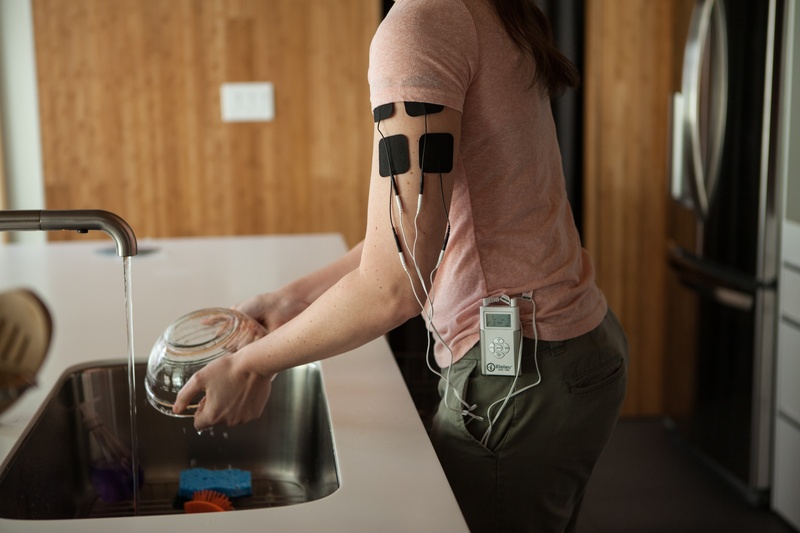 This two-in-one unit allows a person to test the differences of EMS vs TENS for themselves in various settings, whether it be an athlete applying EMS after straining a muscle, or a pilot using TENS on a back stiff from travel. 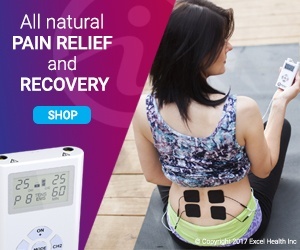 Whether you find that the pain relief from TENS is what you’re looking for, or opt for the extra muscular stimulation via EMS, you’re sure to find relief and healing by using electrotherapy.